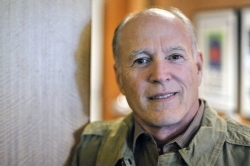 Frank Marshall’s story of success is one for the movies, and that’s not just because he’s a rock star movie producer. At the young age of 19, he stepped into filmmaking on a leap of faith. 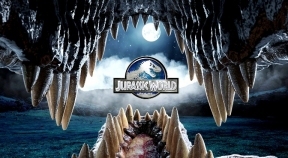 Marshall spoke to LAWNDALE NEWS about the latest DVD and Blu-Ray release of the blockbuster movie, “Jurassic World,” his work on other films, like the recently celebrated “Back to the Future” movies, and his current project, which is being directed by none other than Clint Eastwood. As a young man, he was working alongside the likes of George Lucas and Steven Spielberg, also just starting out. Although they didn’t know it then, together, they were writing the book on how to make great films. “It was kind of a wonderful filmmaking, the best kind of film school you could have was working with Peter Bogdanovich and his wife Polly Platt. I got to see close up what the creative side of producing was like. I didn’t really know what a producer did, just whatever they needed I would try to help them with, and it turned out I was pretty good at it and got things done,” says Marshall. “My reputation is now working with the director to help them get their vision up on the screen rather than just being a numbers guy or a production guy, and it was such a fortunate experience for me meeting them. We learned how to make movies together and how to tell stories together,” he adds. “I always tell film students, ‘Go watch old movies.’ Show making is a language. It’s OK to break the rules, but you have to know what the rules are first,” he says. “I like to believe that DVDs and Blu-rays are just another way to see the movie. DVDs will always be around. I’m excited about getting to put all the extras in. You get a new experience if you want to dive into the movie,” he adds. “Jurassic World” is now available on Digital HD, 3-D Blu-ray, DVD and On Demand from Universal Pictures Home Entertainment.